100% waterproof (Passes ANSI Type I & II water-resistance testing). Epoxy-like strength with no mixing. Bonds virtually everything! 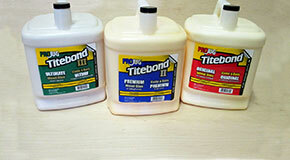 Titebond Polyurethane Glue is a breakthrough in adhesive technology. It is the only polyurethane glue to combine a long 30-minute working time with a short 45-minute clamp time. It is a versatile, professional-strength glue specifically formulated for multi-purpose applications. 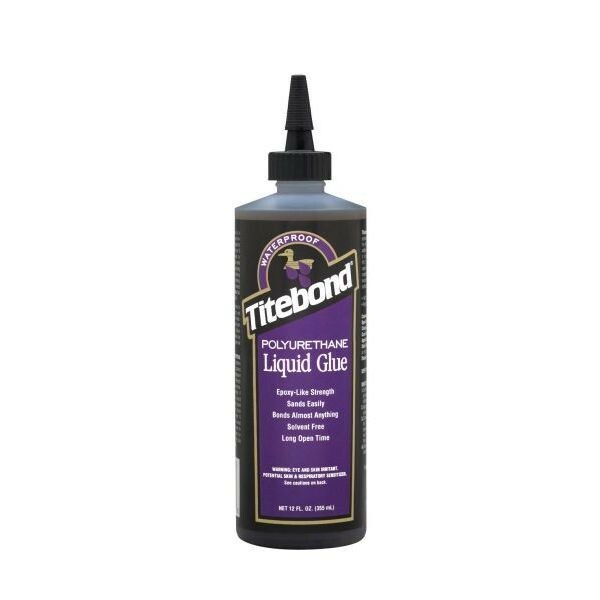 In addition to its superior wood-to-wood performance, Titebond Polyurethane Glue is ideal for metals, ceramics, most plastics, HPL, Corian, stone and other porous/non-porous materials. It is ready-to-use, offers excellent sandability and is unaffected by finishes. Cleanup: Mineral spirits while glue is wet. Scrape or sand off dried excess. Titebond Polyurethane Glue is not for structural applications or for use below the waterline. For ease of application, the glue, temperature and materials to be bonded should be above 50°F. Lower temperatures will cause the glue to thicken.